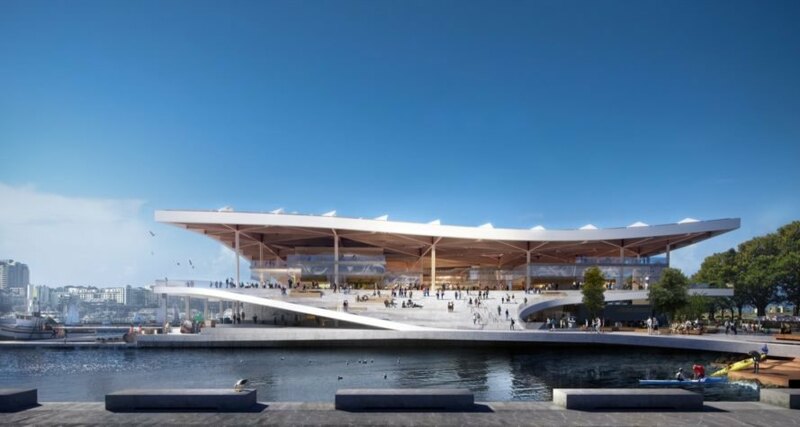 Danish design practice 3XN has revealed its competition-winning redesign for the Sydney Fish Market, a waterfront marketplace that will undergo a $250 million expansion and, in the process, revitalize the waterfront. Topped with an undulating, wave-inspired roof, the contemporary building will emphasize connections with the outdoors while improving visitor access. Sustainability has also guided the design of the structure, which will feature smart, water-saving strategies including rainwater harvesting, graywater recycling and bio-filtration systems. The Sydney Fish Market, one of the city’s top tourist draws, will be relocated from its existing location in Pyrmont to an adjacent wharf on a 3.6-hectare site at Blackwattle Bay on the east side of the Sydney Harbor. 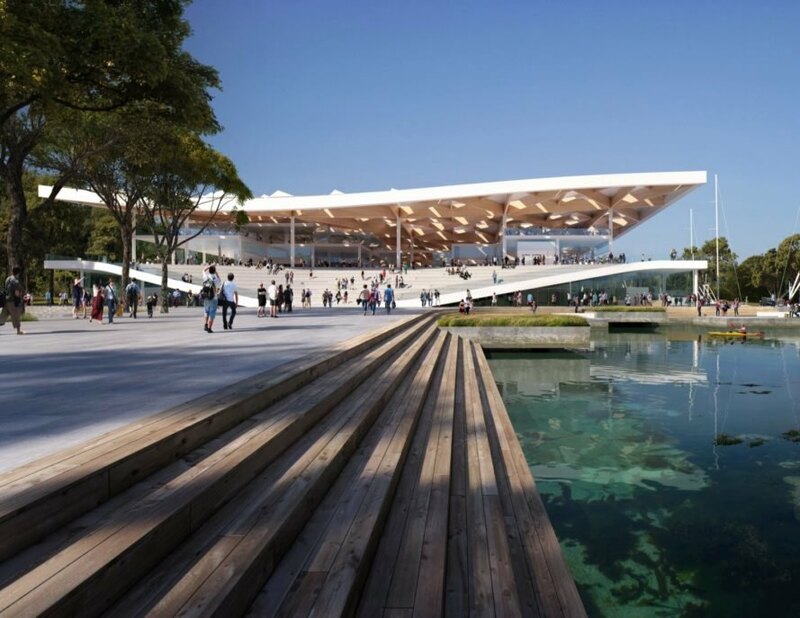 3XN has proposed upgrades to enhance the visitor experience with the addition of improved public space and circulation, a flexible and modular interior and room for several new features: a seafood cooking school, restaurants, bars, a new promenade and a new ferry stop. At the same time, the Danish architects will strive to preserve the architectural heritage and character of the existing market. Individual stalls will fill the interior’s semi-open layout to evoke traditional marketplaces. 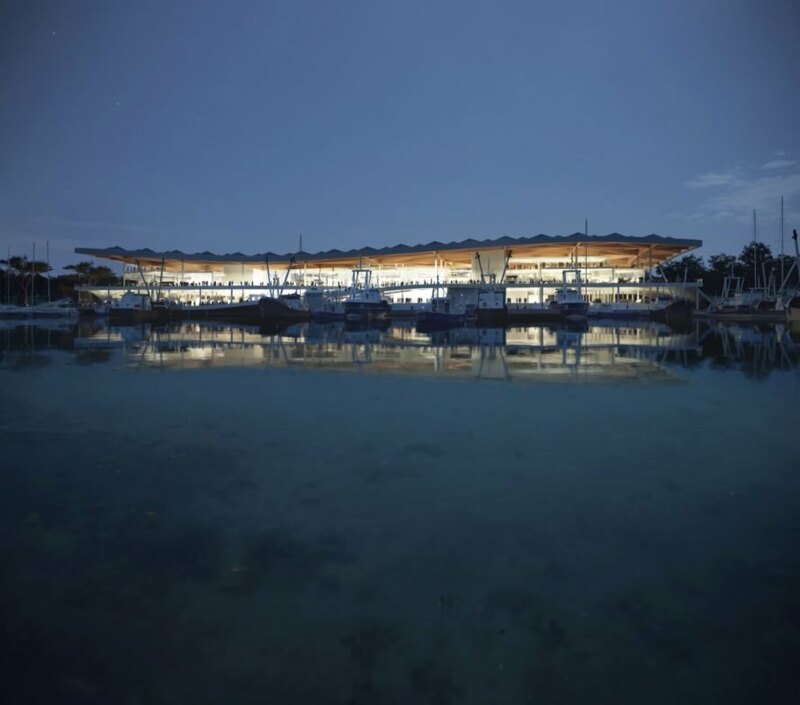 Built of timber and aluminum, the undulating roof will sport a fish scale-like pattern. In addition to the new market’s connections and strengthened sight lines with the waterfront, the building also aims to improve the harbor ecosystem through sustainable design. The bio-filtration system, for instance, will filter water runoff while doubling as a habitat for local birds. Industrial food waste will be recycled. “Environmental and social sustainability are essential and inseparable parts of the design,” said Kim Herforth Nielsen, founding partner of 3XN. “The roof, landscaped forms, open atmosphere, plantings and materials that characterize the experience of the design are examples of this union. Throughout the course of the new market’s concept and design development, public amenity and environmental sustainability have formed the core of our decision-making processes.” The project is expected to break ground in 2019 and is slated to open in 2023. 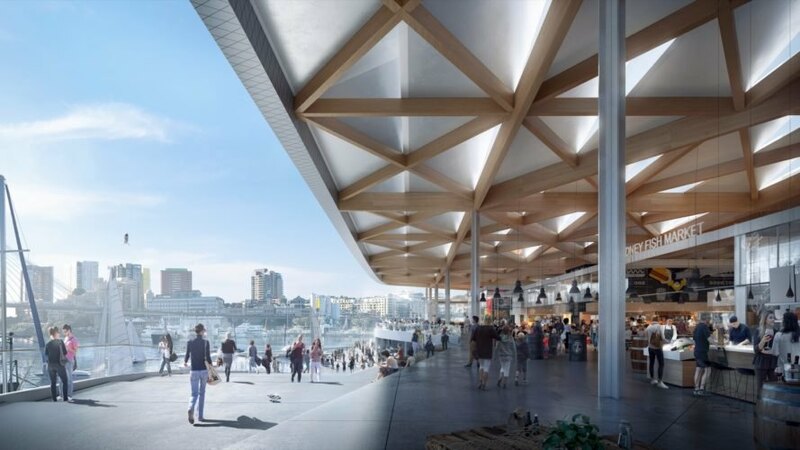 3XN has unveiled competition-winning plans for a redesign of the Sydney Fish Market. The market is a major tourist spot for Sydney. The market is undergoing a redesign and relocation to improve the visitor experience. 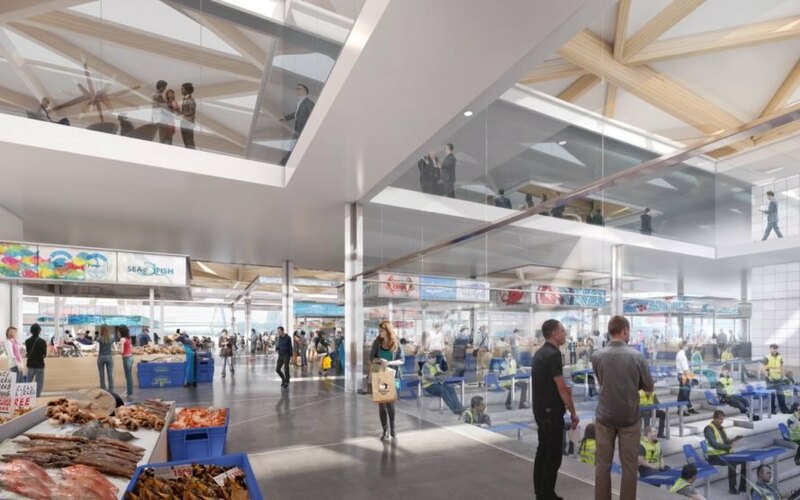 Despite its open plan, the market will feature individual stalls to evoke the feel of traditional marketplaces. An undulating roof mimics the waves and fish scales. The market is slated to open in 2023.